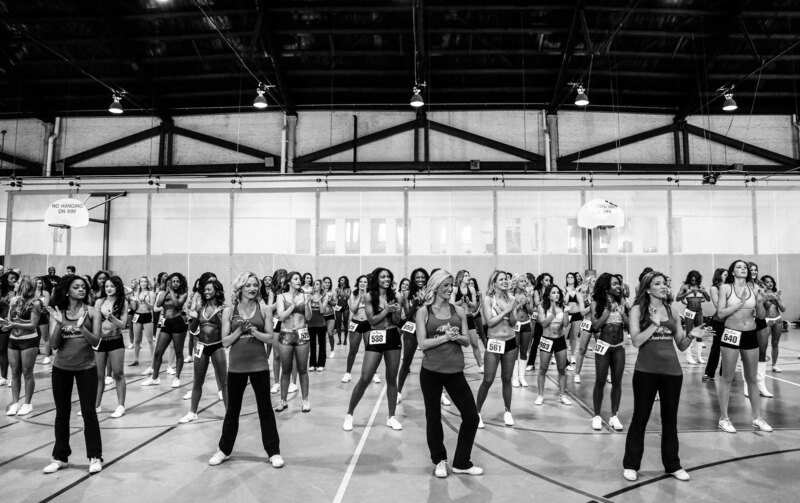 This past weekend my assignment was to cover the Annual Ravens Cheerleader Tryouts. The tryouts last a few days, the first two days being the big ones with the most people. I also shot video on this assignment, my first video ever, along with shooting stills. I thought I wouldn’t like shooting video in addition to photos, but I really enjoyed doing both. In doing this assignment, I learned that these women are really, really hard workers. 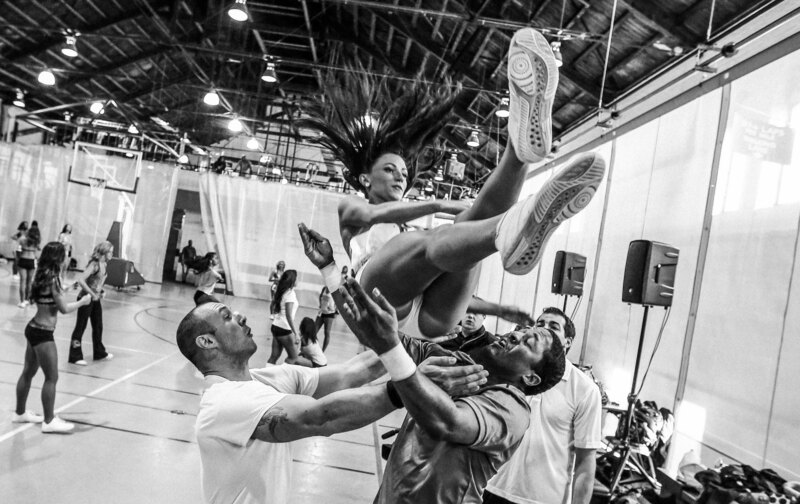 The level of strength and fitness it takes to be a cheerleader is incredible. They make it look so easy! 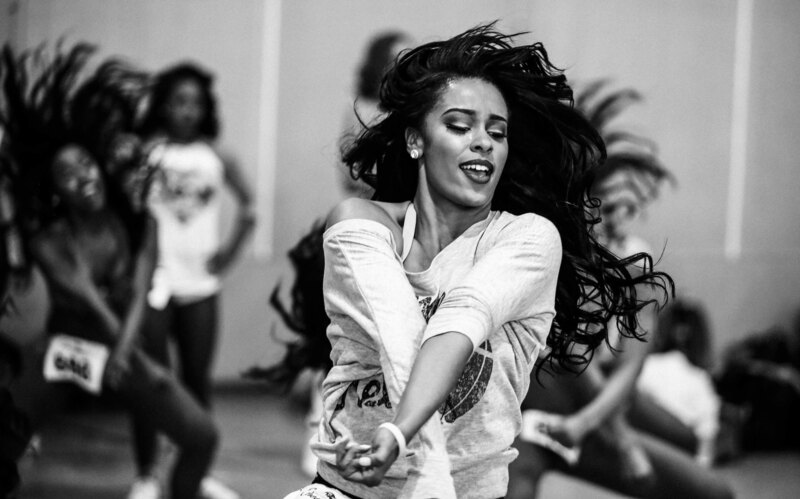 Here’s a black and white photo story of a few of my favorites. This was for an assignment for The Baltimore Sun, so you can see the color versions and the rest of the photos on The Baltimore Sun’s website here. You can also see the video here. The video was shot by me and produced by one of my editors, Chris Assaf. I shot these photos and the linked video with a Canon 5D Mark III. I used three different lenses: 16-35mm, 24-105mm, and a 70-200mm. Some of the video is handheld and some was shot using a monopod.